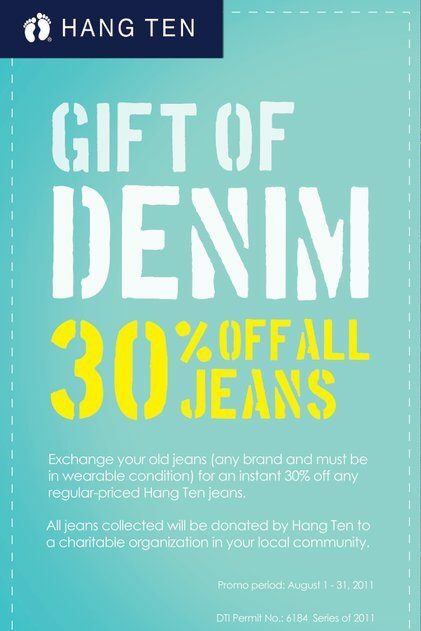 Give Denim This Season and Get 30% Off from Hang Ten! I don't own a lot of jeans, but they do come in handy whenever I've got shoots and/or other project collaborations that would require for me to be in full comfy gear (especially when I'll need to move around a lot). So this promo really caught my attention! But then I saw the promo period and my heart sank, "sayang..."